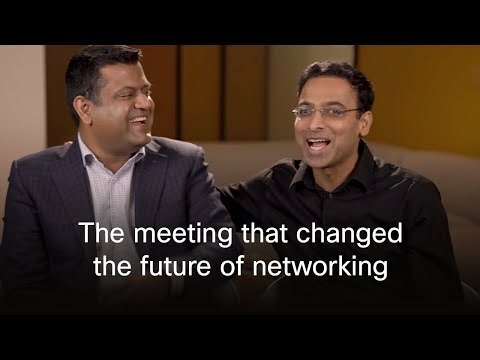 Customers and connections make up a day's work in Cisco's cloud business. Cloud touches just about every part of Cisco's business, and that makes Kip Compton a busy guy. When he's not meeting with customers, partners and analysts, he's connecting with different business and engineering units within Cisco, and talking to employees about the company's cloud strategy. "Working across teams internally and externally is critical for cloud. Once you have alignment, it's incredible how fast these teams can move," says Compton. As Cisco transforms, cloud platforms are critically important. And Compton says he's seen a shift in the marketplace over the last 18 months, where customers are seeing cloud as more than just a way of saving money, but also transforming and delivering more compelling experiences. Just as Cisco and the market are evolving, Compton's career at the networking giant has evolved as well. During his years at the company he's led several different groups including the SP video business, and the IoT business. He says what he's most proud of as a leader is helping to develop people. "I'm always proud to see how a team that I've helped influence or build evolves after I leave, to some degree the real measure a leader is building a sustainable organization that works as a team even after the leader is gone." Compton says he gets a ton of energy from his team, and he believes bringing diverse backgrounds and experiences to the table leads to the most compelling innovation. He also believes in mentoring the next generation. "Early-in-career and new grads think about the world differently, they experience the world differently and they bring something different to the table." Compton is also passionate about customers, and says cloud is one of the most important topics for them. "Customers are telling us that we're one of the largest, most capable IT companies that doesn't have its own cloud that we're trying to drive our customers to. In the multicloud world, they see us as uniquely well positioned to help them across those cloud providers in a cloud agnostic way." He notes this is an exciting time to be in Cisco's cloud business. "The pace of innovation we've seen last year in cloud is just incredible."